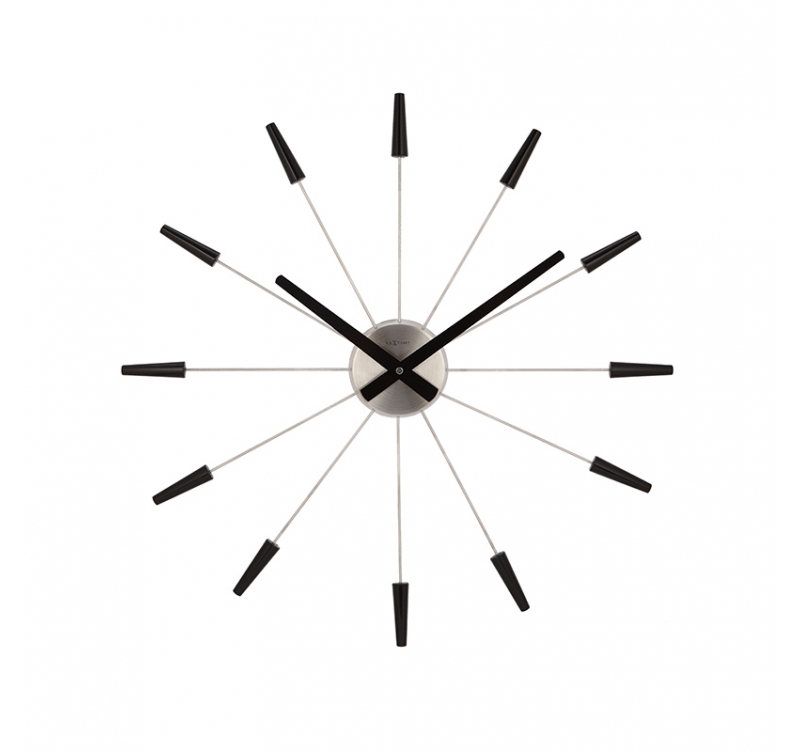 One could think the hands of this splendid contemporary wall clock are suspended. Thanks to the discretion of the stainless spokes and mechanism, the hands go round the face in all simplicity. 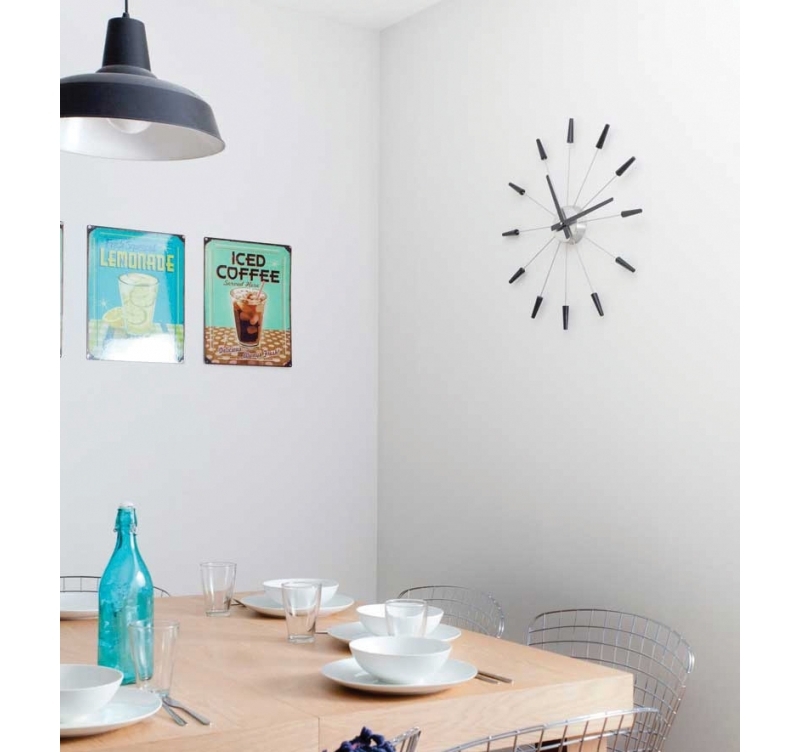 The dimensions of this wall clock are 58 cm in diametre. 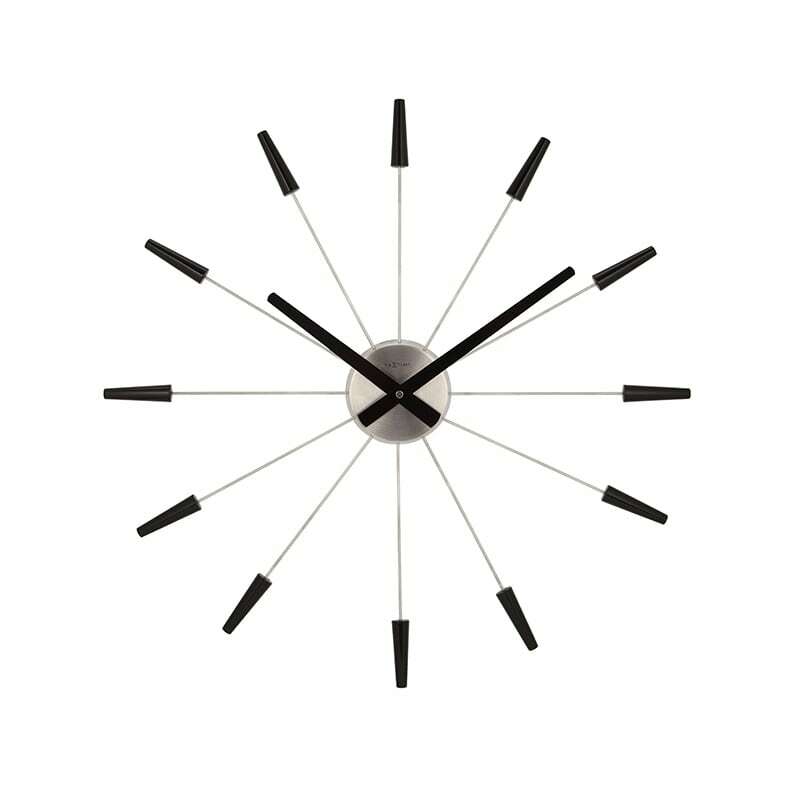 Bringing a very contemporary and impeccable style to your home, this large wall clock with generous dimensions decorates a lounge as well as an office. It will even be a very original kitchen clock you will enjoy watching while cooking. With its imposing size it will be the deco touch in your room. Only the hands and the hour-showing points are black, the central mechanism and the spokes are in untreated stainless steel so they can be hardly visible. This original clock can also be found multicoloured, golden and silver.